"Family Law in a Family Nation"
I am an assistant professor in the Department of Asian Languages and Cultures and Department of Women’s Studies at the University of Michigan. I serve as the Director of Undergraduate Studies at the Center for Japanese Studies, and welcome applications to join the Undergraduate Advisory Board. I am the series editor for a new book series, Asia Pop! from the University of Hawai’i Press. The first book in the series, Daisy Yan Du's wonderful Animated Encounters: Transnational Movements of Chinese Animation, 1940s–1970s will be released in early 2019. Please feel free to contact me if you have any questions about the series or would like to submit a proposal. 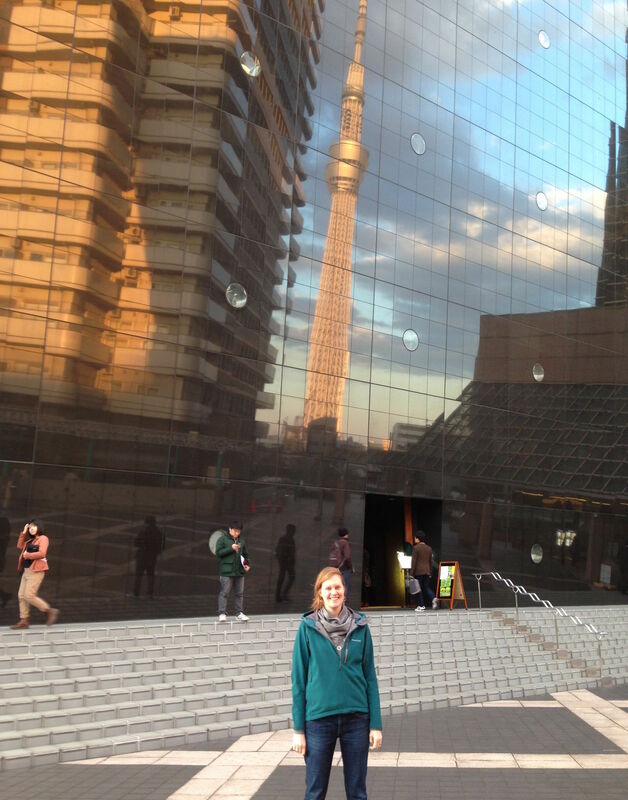 In the picture at the top of this page, you see me, extremely jet lagged, in front of Tokyo’s SkyTree as reflected in the Asahi building. Both buildings are easy to make fun of, but I love the colors in this shot. I am a cultural anthropologist focusing on contemporary Japan, with interest in ideals and experiences of family lives, constructions of intimacy, and legal anthropology. My first book, Intimate Disconnections: Divorce and the Romance of Independence in Contemporary Japan, considers how people negotiate freedom, happiness, and intimate connections through divorce. It is under contract with the University of Chicago Press. 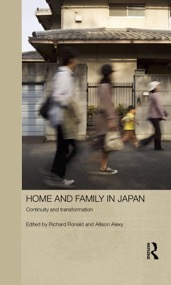 I am currently writing a second book, Family Law in a Family Nation: Custody Disputes and Parental Activism in Contemporary Japan, which argues that the centrality of “family” as an organizing symbol for the Japanese nation, and the ensuing legal system that privileges families as unimpeachably private space, creates fundamental lacunae for people seeking assistance in family disputes. 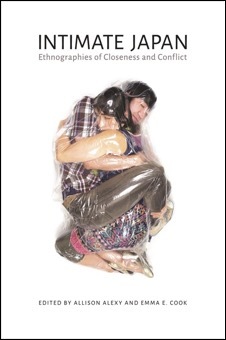 With Emma Cook, I recently co-edited Intimate Japan: Ethnographies of Closeness and Conflict. We are very happy the volume was chosen by Knowledge Unlatched to be published through open access.